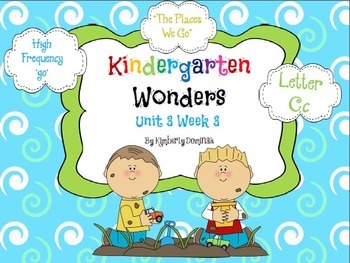 Lots of goodies packed into this Wonders Reading for Kindergarten by McGraw Hill in Unit 3 Week 3! 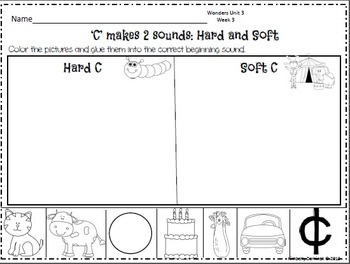 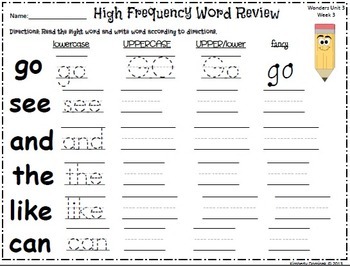 In this pack, you will find differentiated reader activities, vocabulary, letter focus activities for 'C', differentiated activity for the hard and soft sound of 'C', picture sorts, phonemic awareness activities, text evidence tools, writing activities, many high frequency activities, fix it up, story comprehension, syllables, spelling test, take home practice sheet, and daily wrap ups. 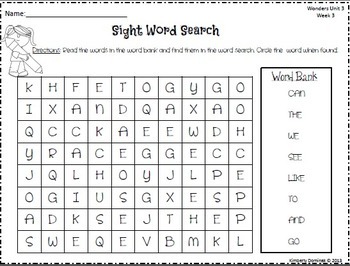 Enjoy all that it has to offer!